Is your Stalker Real or Imagined? Home ➞ Blog ➞ (Updated)Is your Stalker Real or Imagined? There are 7.5 million people stalked every year. Has your stalker acted out in a course of conduct directed at you that would cause you to feel fear and to be unsafe? Is your stalker someone you know, or you do not know but has consistently been following you, calling or sending you letters, emails even gifts or flowers? Those occurrences constitute sufficient evidence to establish you are being stalked. You should try to document every incident and sighting of your stalker, including the location, the date and time of confrontation or observance. Try to take a photo of your stalker if he/she is unknown to you. The first action you should take is to call 911 immediately. Victims of Crimes including Stalking published this helpful brochure; please take a few minutes to read it. More often than not, your stalker is someone you know. Perhaps an ex-boyfriend, girlfriend or someone you shared a short or long term relationship with, a fiancé, an ex-husband or wife, a co-worker, a next-door neighbor, someone you met online. Alternatively, a person you ran into numerous times who lives in your building, or at a neighborhood market, perhaps a boutique thus eliminating the possibility of coincidence. Celebrities and others who are in the public view such as TV newscasters, sports announcers, athletes are often victims of stalkers. There have been numerous studies of stalkers by psychiatrists all over the world all of whom concluded that stalkers have one form or another of a mental disorder which should not be your concern. You are not required to figure out your stalker’s mental illness. What to do if nobody listens to you? You may have shared your concerns with friends or family, and they responded by saying that you are hypersensitive. Those responses are quite common, but you do not and should not experience this alone. Stalking is a serious crime that can cause depression and hopelessness. While victims should always turn to the police first for assistance, you may be disappointed. To understand what to do and whom to call. there are many organizations that help stalking victims. According to Dr. Doris Hall, an expert on criminology at California State University at Bakersfield emphasizes the importance of taking any stalking behavior seriously and dealing with it aggressively from the outset. 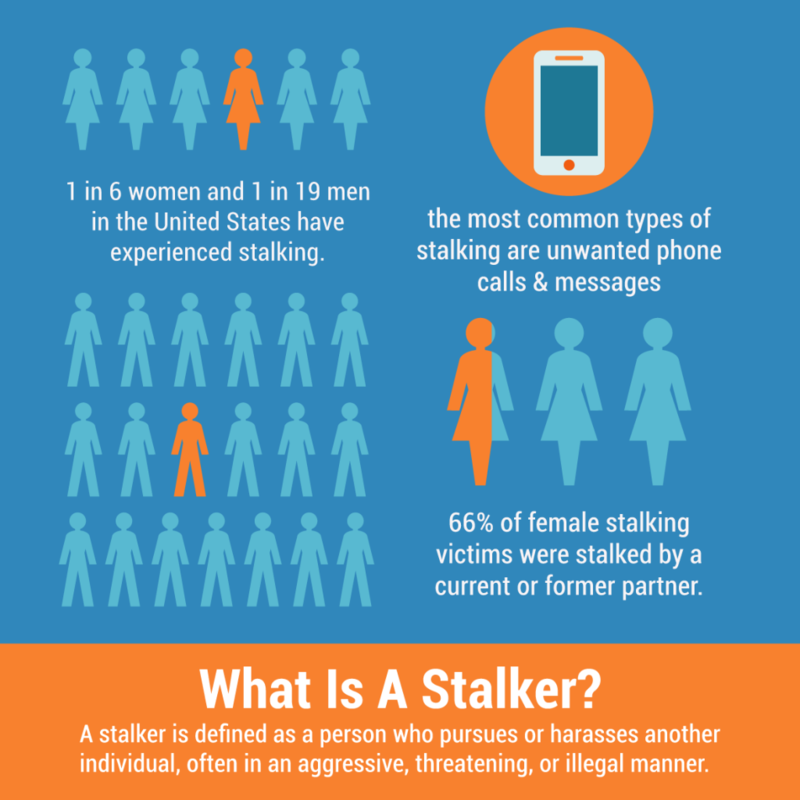 How to protect yourself from stalkers? Should you become frustrated due to the lack of immediate law enforcement action while your stalker appears to be accelerating. You should call a private investigator or bodyguard who will provide you with a personal protection specialist and at your request conduct an extensive background investigation on the stalker to determine if the stalker has prior criminal convictions, restraining orders or may have been committed to a mental hospital. On the other hand, if you cannot provide any evidence of the stalker’s contact such as any written or verbal communication from the stalker, law enforcement will be unable to help you after they conclude their interview with you. To understand this issue in more detail, we suggest you read this article recently published by the New York Times.